You know for a fact that if your toddler had a cold or cough, your best vapor rub to make sure it would be safe would be that bottle of Aceite De Manzanilla. When I was asked to see how Euky Bearub would fair, I didn't think twice and took the challenge. The product itself came in a tube and that impressed me since usually vapor rubs would come in tubs and you would get product in your fingernails. Urgggh! Don't you just hate that and it's so hard to wash off from your hands! 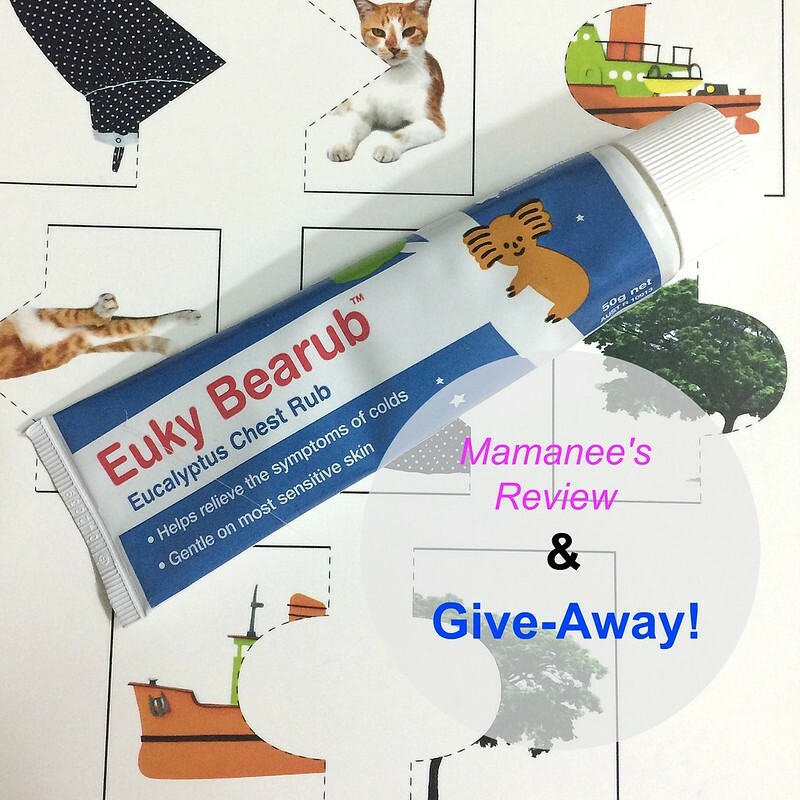 I also had the hubhub rub Euky Bearub on my back when I had a cough and I also used it on my chest. After 2 days, of using Euky Bearub before I slept in the evening, I felt better. I even asked my hubhub to massage my lower back using the rub and I would always feel relief after a nap. It's many uses and ingredients. Quick absorbing and non-greasy after feel. Amazingly, it worked pretty quick for the little boss and I, but of course the results may not be the same for you. Both of our coughs were mild at the time. • Scent - The Eucalyptus scent was not overpowering but definitely relaxed you. No wonder I would fall asleep right away afted a massage and same for the little boss. • Packaging - the easy squeeze tube makes it a delight to use the product. There's more control and it goes directly into your palm and not your nails. • Absorption - it definitely absorbed well into the skin even though it's an ointment and there was no greasy feel on the hands after. • Ingredients- Euky Bearub has Eucalyptus Oil,Eucalyptol, Menthol,Camphor and Rosemary Oil. Avoiding harsh ingredients it is gentle for most sensitive skin. 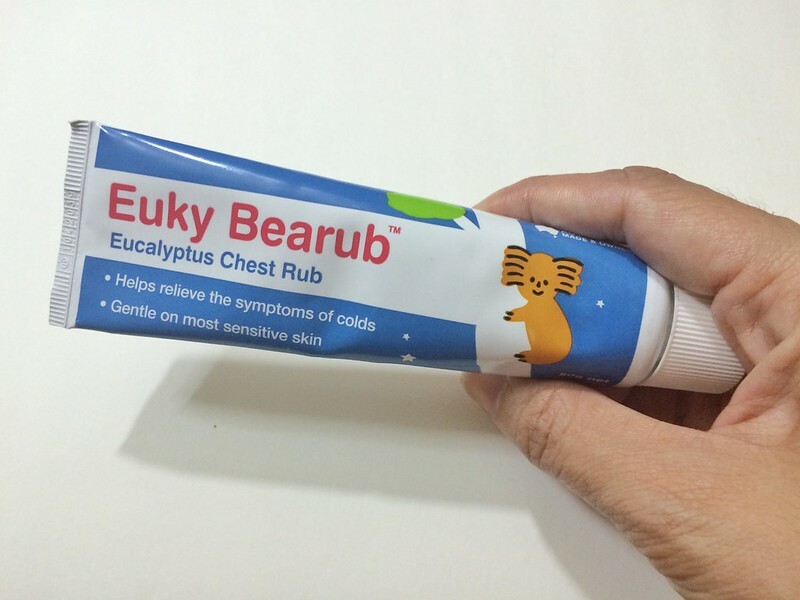 • Different Uses - You can use Euky Bearub as a chest rub, to rub on insect bites, for muscular pain and placing 2 teaspoonfuls in a bowl of hot water will allow you to usd it as a vapor inhaler. 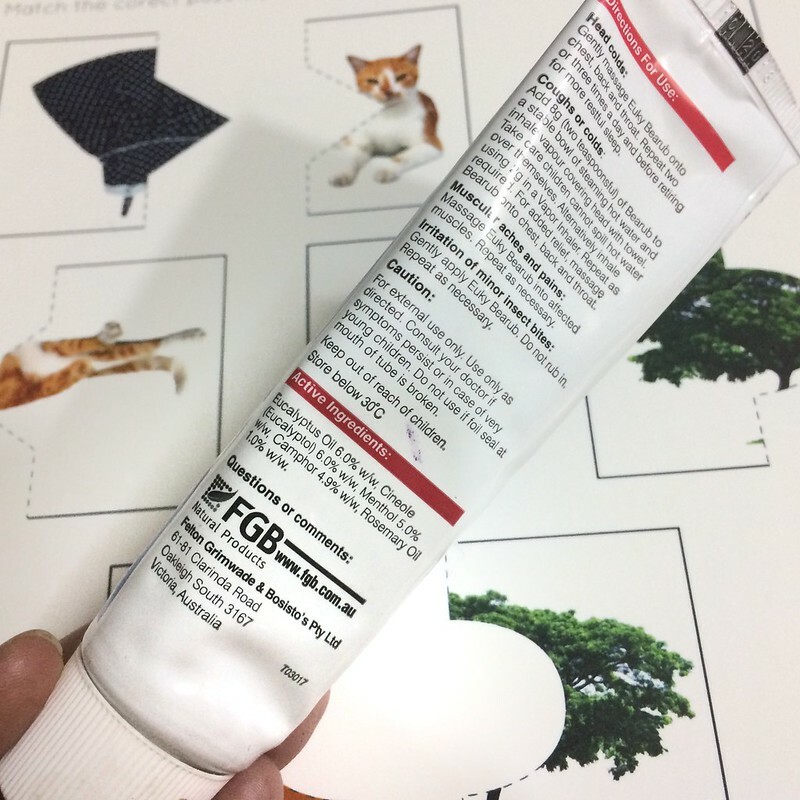 The rub is not only great for toddlers but for adults too (as I have tested myself)! • Availability - Stores are pretty limited with distribution, Rustan's is the biggest chain that carries this brand but it would be nice to have it available in drugstores as well. The trusted health brand from Australia! This is definitely an effective rub that can be used for kids and adults. I love the smell and how it works effectively. It's definitely an investment for parents with kids who have sensitive skin. Check my Facebook post here on how to win. Winners will be announced on April 25 (Monday) on my Facebook Page! Euky Bearub and Blitz Lice Shampoo and Solution are being distributed by Koofty Enterprise Inc.You may visit Euky Bear Philippines at the website or Like them on Facebook.